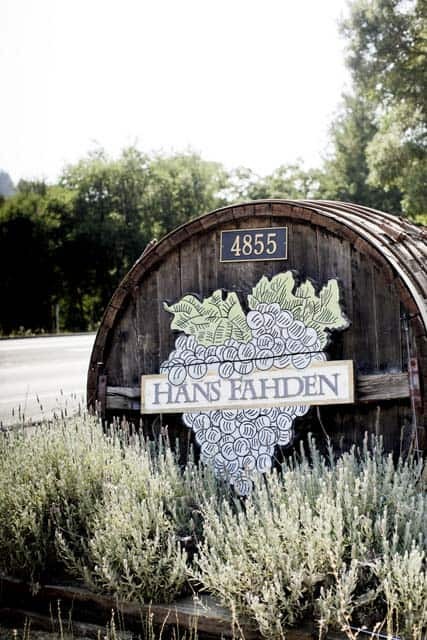 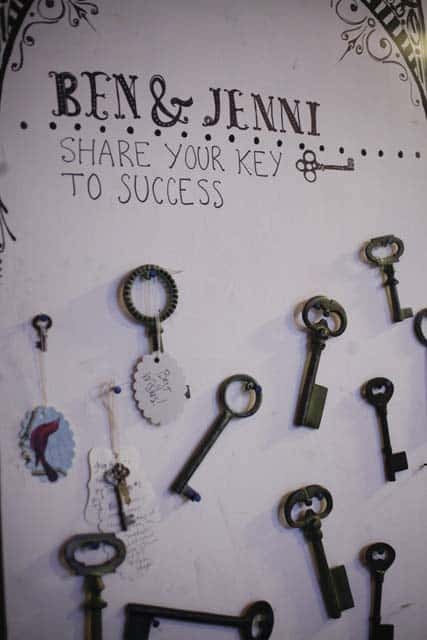 Jenni and Ben tied the knot at the quaint Hans Fahden Winery in Calistoga. 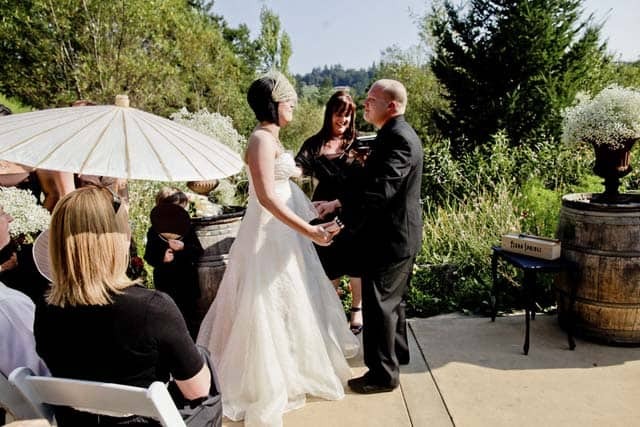 This venue is dripping with untamed native gardens, a lovely pond filled with ducks, lily pads, and a truly authentic wine country vibe. 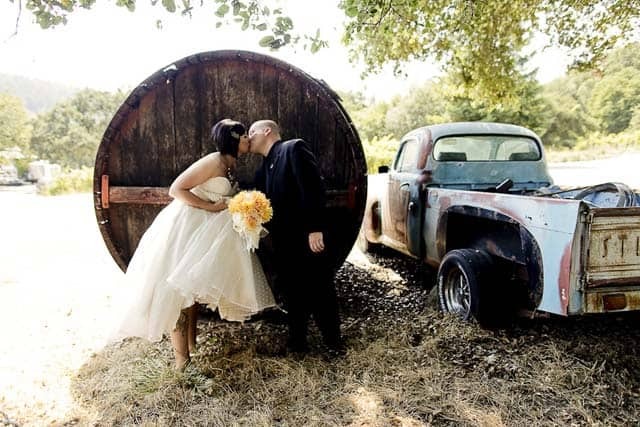 Christina, with Nightingale Photography even found an old Studebaker and wine barrel for portraits! 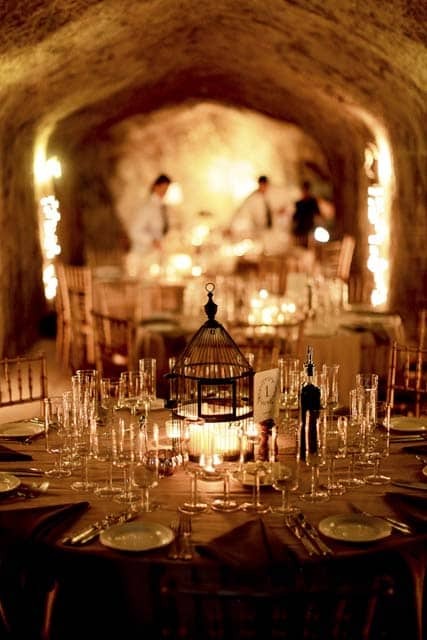 The wine cave was romantic with lit candles and a cozy atmosphere. 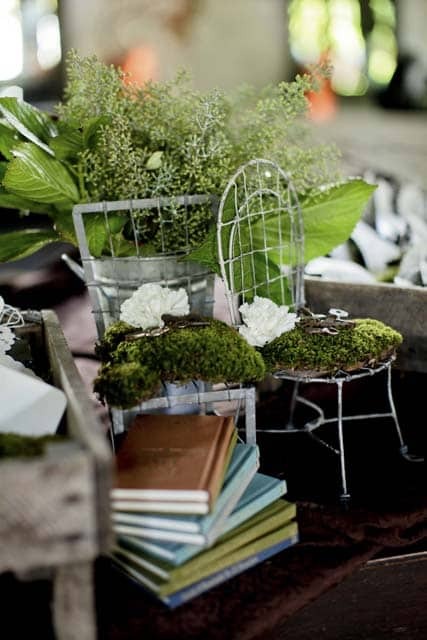 Wine barrels and baby’s breath arrangements adorned the ceremony site. 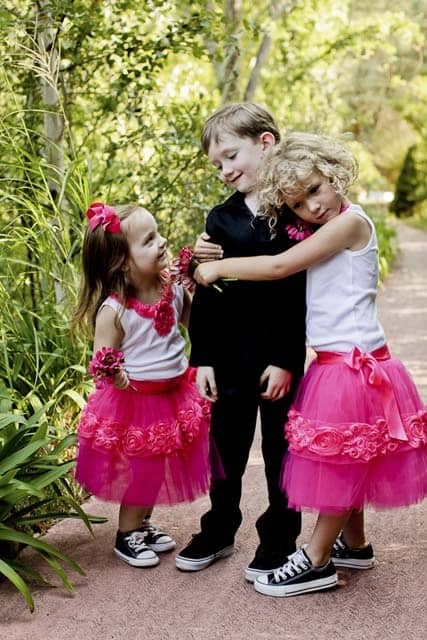 Adorable flower girls and ring bearer, check out their shoes! 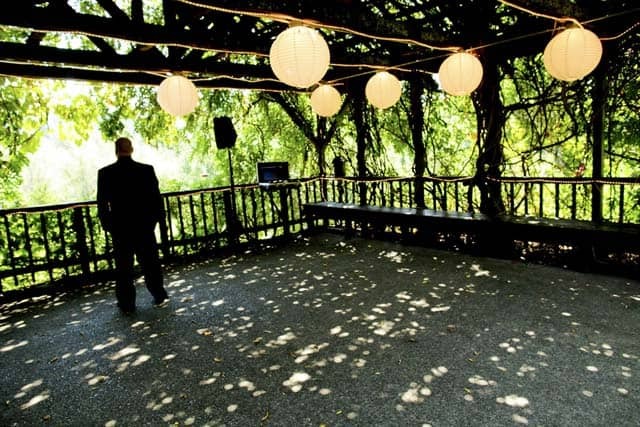 Gorgeous and intimate dance floor. 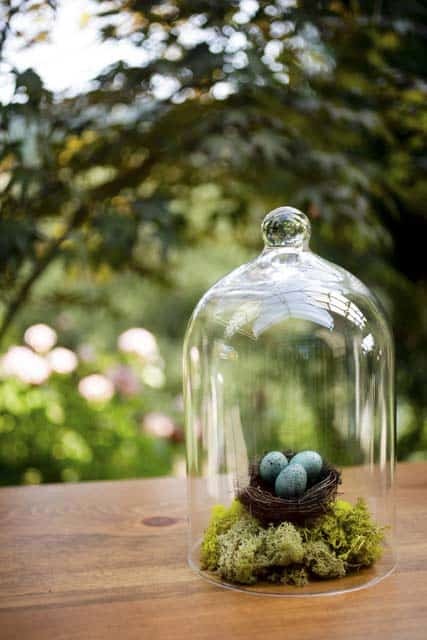 Cute alternative to a guest book. 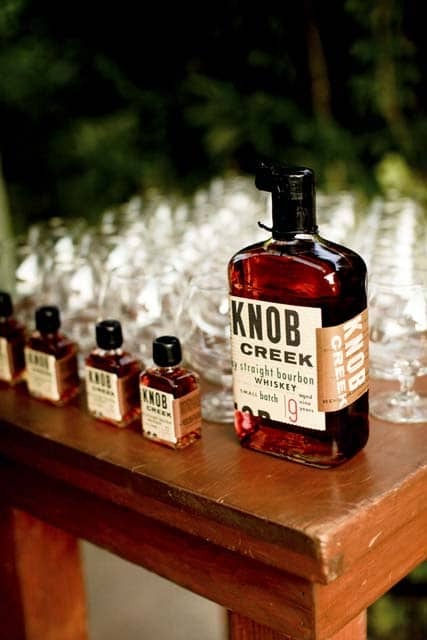 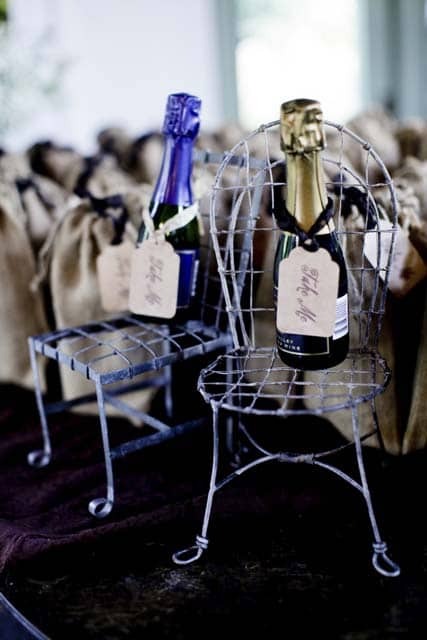 Favors to fit the wine themed wedding. 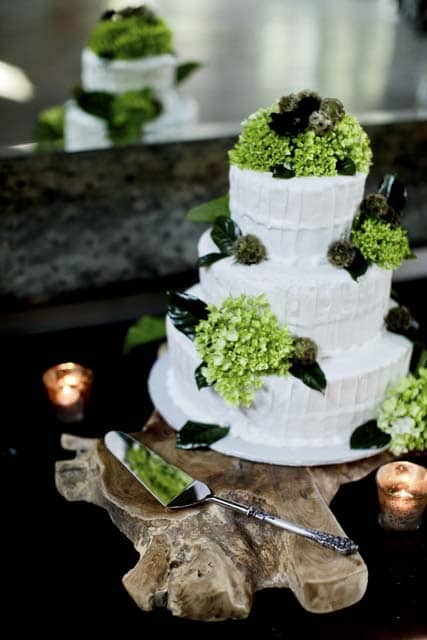 Floral Designer: Kate Stanley Design Inc.